Argyle Light Blue themed Covers. 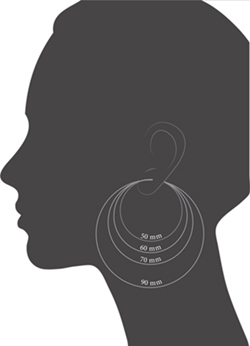 All Earrings are high quality stainless steel. Though Spirit Hoops covers can be worn with other earrings, we recommend pairing them with a set of Spirit Hoops earrings for a perfect fit. Once you buy one of our pairs, you can mix and match any covers you like! Check our FAQ page for more information.